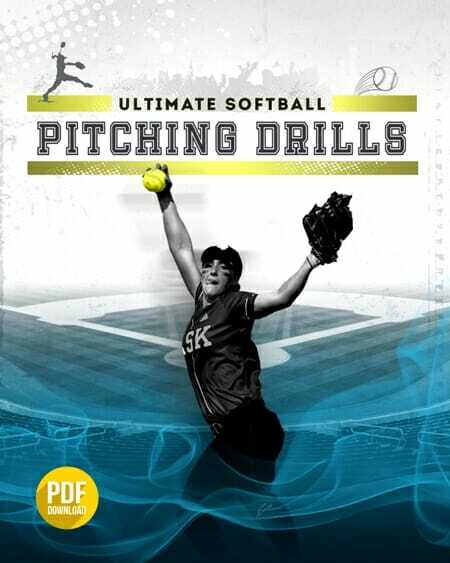 This drill teaches the batter to swing forward and down and then along the same plane as the softball. 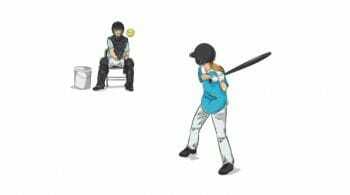 Batter stands at tee in normal batting stance. A ball is NOT placed on the tee. 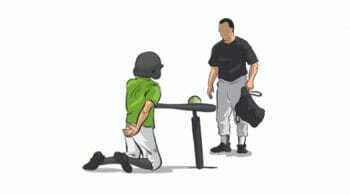 The batter gets into the normal stance. Batter takes a dry practice swing. She swings down and over the tee trying to come close to the top of the tee without hitting it. 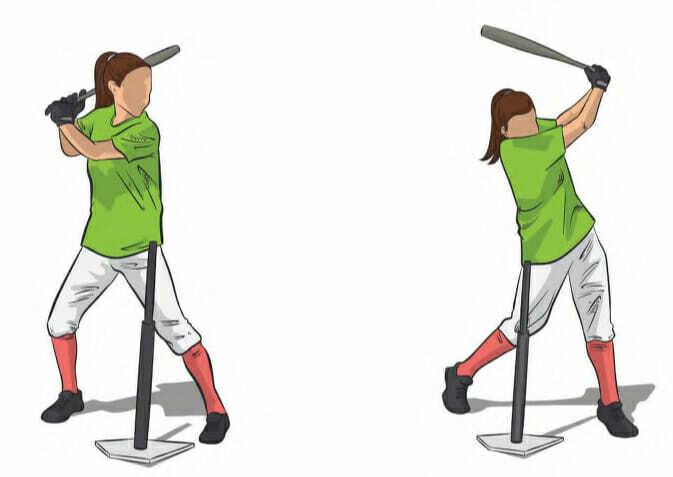 The batter should freeze at the end of her follow-through to check her position. Her hands should be at her shoulder with her belly button in front of the tee. The batter then resets and swings again. 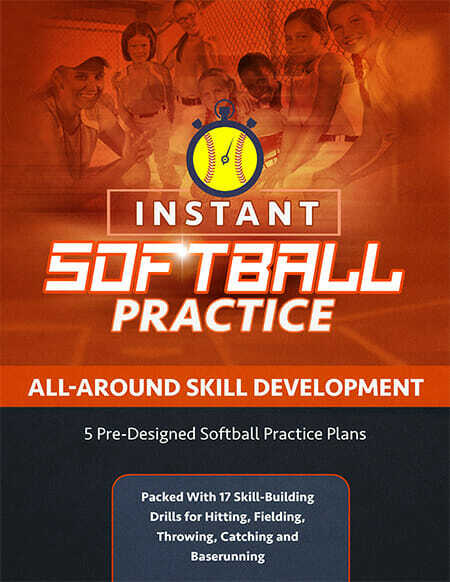 Vertically, try to line up the top of the tee with the batter’s waistline. 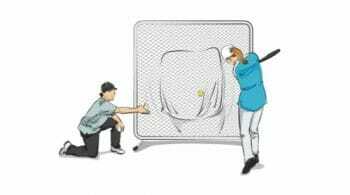 Horizontally, the tee should be positioned so that it is in alignment with the batter’s belly button. 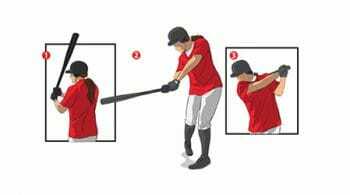 Batters with the bad habit of dropping their back side and swinging with an uppercut should find themselves hitting the tee frequently until they fix the problem.